Lemax Skate Rentals Set of 3 Christmas table accent depicts a popular alpine resort skating booth and seating area occupied with customers. Lemax Skate Rentals set is suitably placed in and amongst a seasonal Lemax miniature Winter village scene. A Lemax 'Vail Village' themed collectable piece which joined the Lemax collection in 2010. 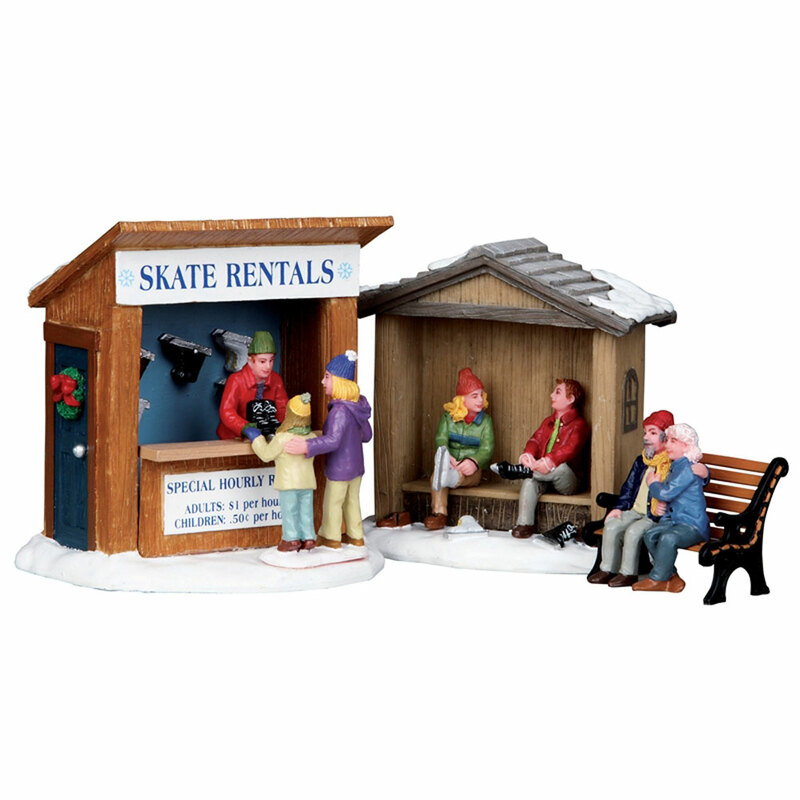 Skate Rentals comprises three individual pieces, two on snowed bases and each hand painted polyresin to compliment your seasonal Lemax Christmas Village. good price fast delivery well packed.